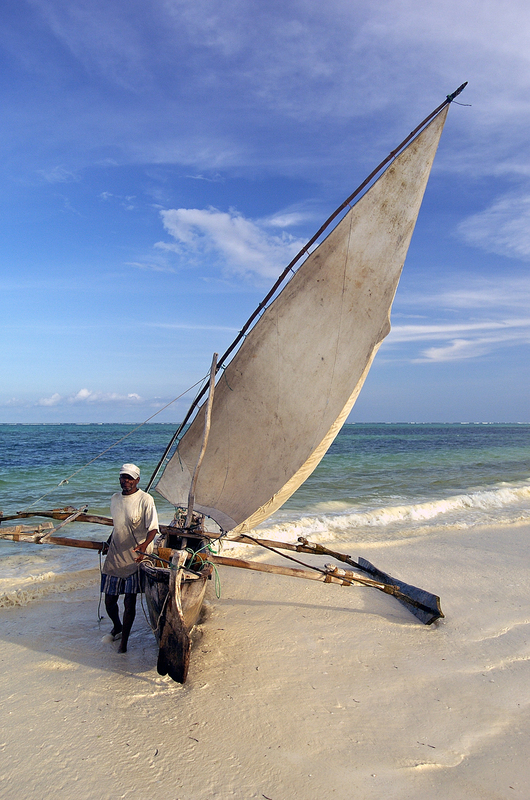 Zanzibar is a culturally rich archipelago just a 20 minute flight from Tanzania. The islands fill your senses with the scents of spices, the sounds of abundant wildlife and the views of picture-perfect beaches and reefs. 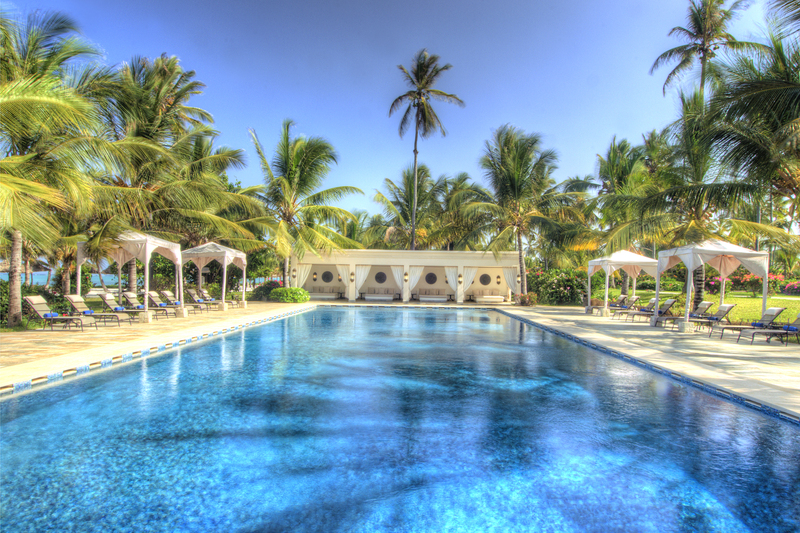 The Zanzibar Collection comprises of three boutique properties, Baraza Resort & Spa, Breezes Beach Club; great for families and couples alike and The Palms Zanzibar; a romantic hideaway ideal for couples and honeymooners. 1. All 3 properties are set on an award-winning beach, chosen by Condé Nast Traveler magazine as one of the top 30 beaches in the world! 2. The Frangipani Spa at Baraza is huge, with a great variety of treatments including an indulgent Sultans treatment created especially for couples. 3. 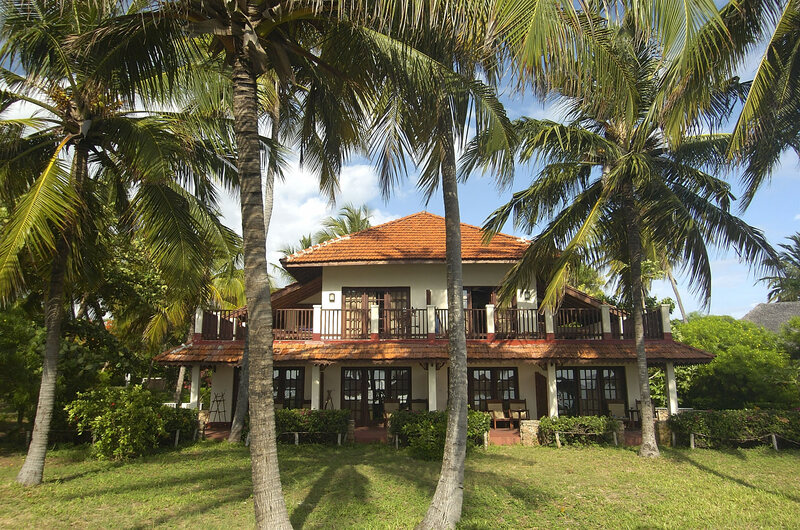 All three properties have access to East Africa’s only National Geographic affiliated PADI 5 star Dive Center. 4. The Spice Tour to the north of the island, where cloves and vanilla are abundant, opens your eyes to the trade that was integral to the development of these islands. 5. The gardens at Baraza are gorgeously lit up when the sun goes down with pretty fairy lights that really complete the fairy-tale setting! 6. The Jozani Forest is thriving in wildlife including the famous red colobus monkeys, somewhere all children will love to visit. 7. Baraza has facilities to keep the entire family happy, including a Kids Club, a library, games and water-sports. 8. Palms is small and intimate and children under 16 are not allowed – an idyllic retreat for honeymooners wanting a peaceful sanctuary. 9. 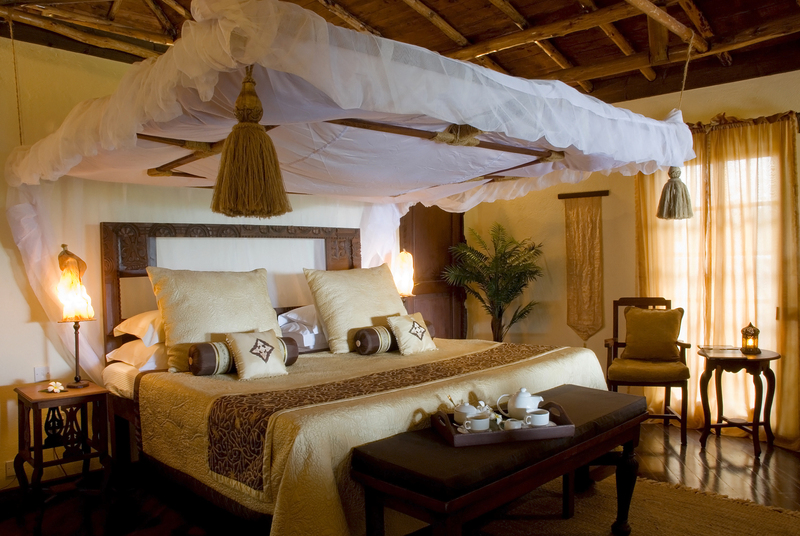 Each of the six thatched “bandas” at The Palms has a dedicated day bed allowing you to relax in your own privacy, where canapés and cocktails can be bought to you – pure heaven! 10. The spa at Breezes offers an “Apres-Safari Treatment” especially designed to rejuvenate those who have come from bumpy safari rides. 11. At low tide, staff can take guests on a reef safari and walk you out to the coral reef to see the spectacular marine life and corals. 12. 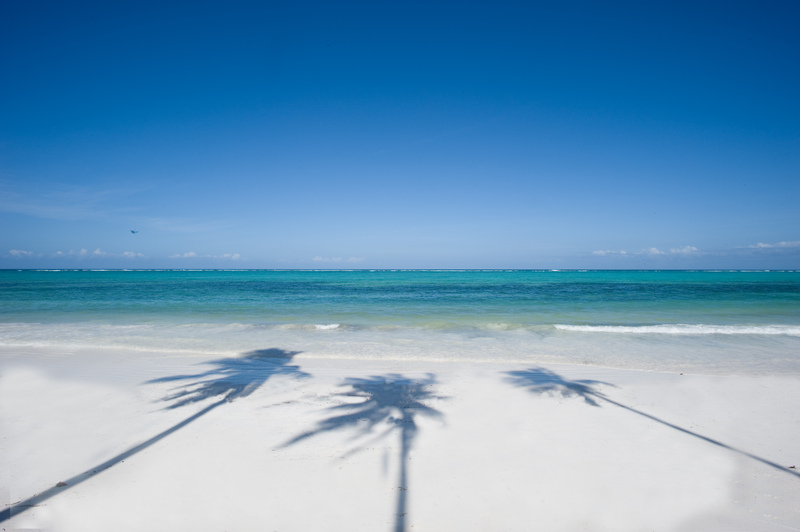 Breezes can set up an area on the beach especially for you and your family; these are the personal touches that really make us love the Zanzibar Collection! 14. The Mojito at Baraza is the best in Zanzibar and quite possibly in the whole of Africa! 15. All the furniture at Baraza is hand made by local artisans who have perfected the art of wood carving, which Zanzibar is so famous for. We have to add as a sixteenth reason that Freddie Mercury was born in Zanzibar – who wouldn’t want to visit an island where this superstar was born!